From Krasnoyarsk, we flew to the small village of Bor (2000 inhabitants), 1000 km to the north. 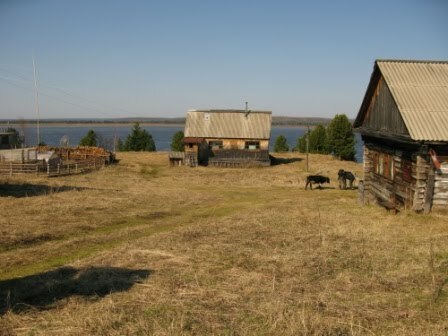 Next was a boat trip of 120 km, after which we finally made it to Mirnoe (or Mirnoye) (located at 62°17'N, 89°00'E), situated on the shores of the Yenisei River. 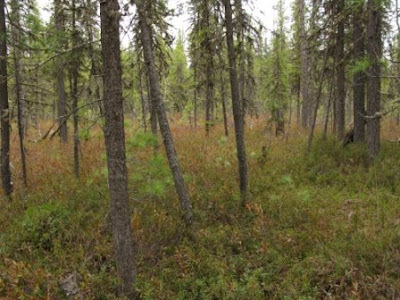 Here, the main habitats are taiga and floodplain forest, and off course the river itself is very important for many species. On the 7h boat trip we saw several White-tailed eagles, Great grey owl, Terek sandpiper, Red-throated divers, ... and also one Brown bear. We stayed at Mirnoe for 5 days, and every day brought us different birds. 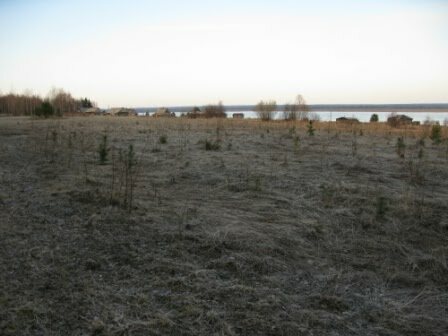 The fields around the abandoned village were very good for songbirds, while the small ponds holded i.e. 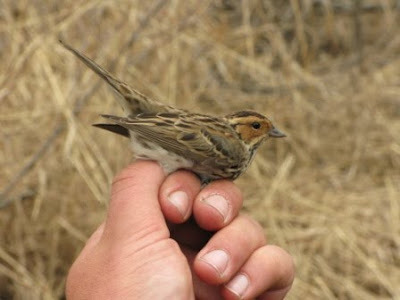 Pin-tailed snipes and Pacific golden-plover. 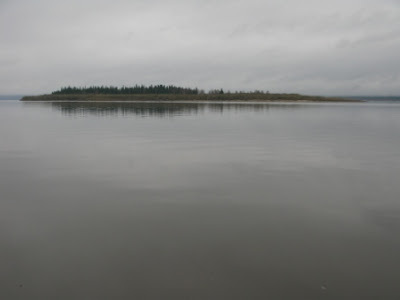 River island in the Yenisei River. 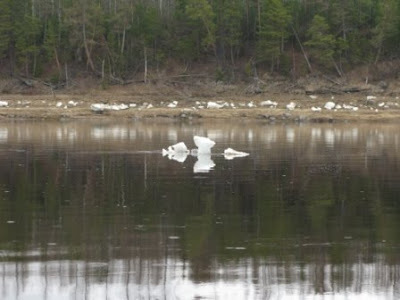 An iceberg floating in the river. 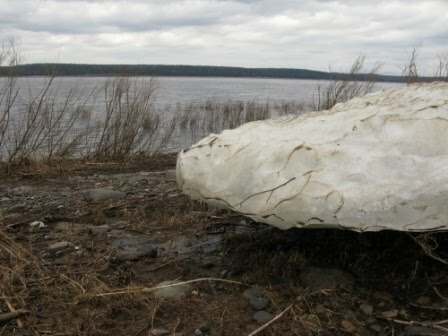 Iceberg on the shores of the Yenisei. 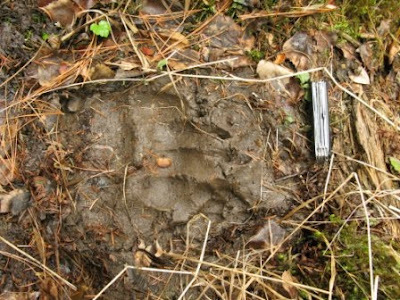 Fresh prints of a Brown bear (with my Swiss army knife for comparison, they are huge!). 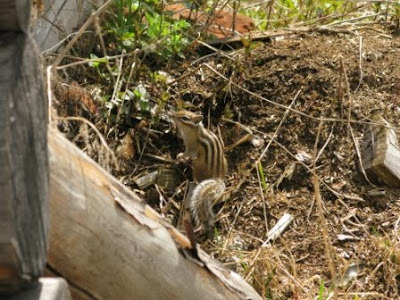 Siberian ground-squirrel, very common everywhere. 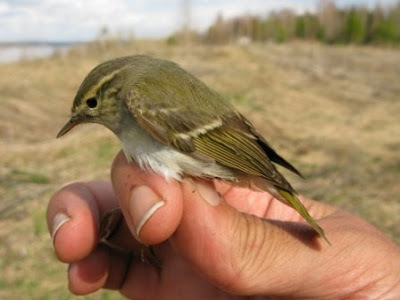 Yellow-browed warbler, the call of these birds was heard everywhere. 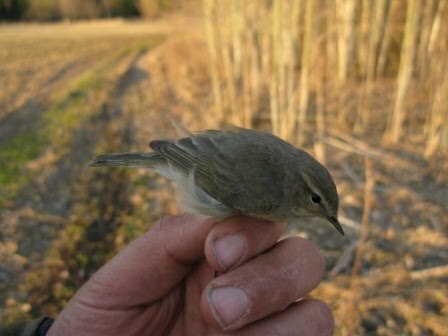 Siberian chiffchaff, nice to see these birds in the hand. Dusky warbler (he colour-rings all birds that are breeding in his study-area, so there is a colour-ring aspect in this blog-post ;-)). 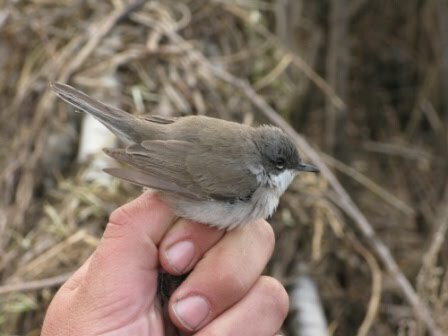 Lesser whitethroat, another very common bird. 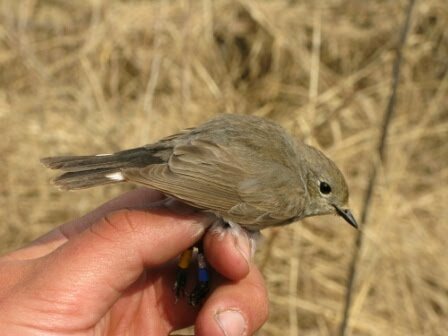 Female taiga flycatcher, unfortunately no male flew into the mistnets while we where there. Many where seen and heard though. 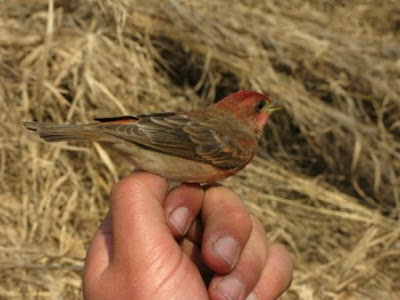 Common rosefinch, this species too was very common. 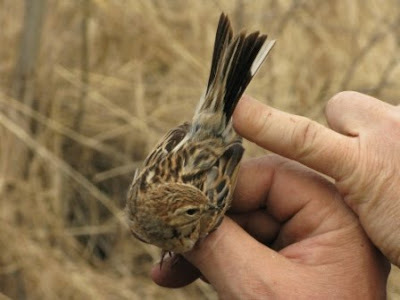 Little bunting, the most common bunting in the taiga. 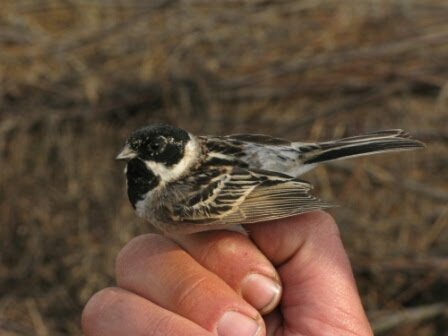 Male Pallas's reed bunting, several birds were seen. 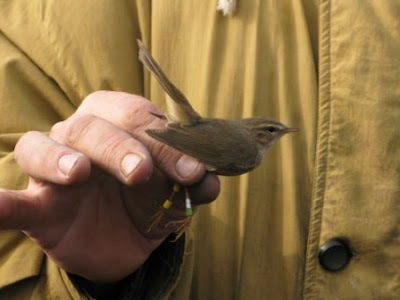 And now it's back to birding (and looking for insects like butterflies and dragonflies) in Belgium, I hope to find some time in the next couple of days to look for rings in Gent.